Tesla will host an Autonomy Investor Day on April 22, hopefully, giving a new level of detail into its R&D effort on autonomous driving. The potential financial impact of full autonomy is immense, and that makes certain technical questions important. The key question for investors is whether Tesla can leverage its scale advantage in real world training data to produce significantly better autonomous driving than competitors. With a number of very exciting developments coming in the weeks and months ahead, Tesla will host investors ... at our headquarters in Palo Alto to provide a deep dive into our self-driving technology and road map. Investors will be able to take test-drives to experience our Autopilot software first-hand, including features and functionality that are under active development. Investors will also hear directly from Elon Musk, as well as VP of Engineering, Stuart Bowers, VP of Hardware Engineering, Pete Bannon, and Sr. Director of AI, Andrej Karpathy." Whatever Tesla's approach to driving tasks (as opposed to vision tasks), why does Tesla expect this approach to work, whereas companies like Waymo (GOOG, GOOGL) continue to struggle? Why does Tesla think its approach will work, and why is Tesla uniquely positioned to pursue this approach? For example, if Tesla's approach is imitation learning (as has been reported), and Tesla's unique position is thanks to the data from its fleet of production cars, then I would like Tesla to give us an argument why imitation learning will work. And why pure reinforcement learning in simulation won't work. How close is Tesla to solving the necessary computer vision tasks? For that matter, how does Tesla set the bar for when a task is solved? Is the remaining work just a matter of adding more labelled data to the training sets? How is accurate is Tesla's sensor suite in getting depth information about the objects around it? Depth mapping is sometimes touted as one of the advantages of LIDAR; how does Tesla's sensor suite compare? Right now, we have little insight into Tesla's technical strategy. We can theorize based on the available evidence. But we don't know for sure what Tesla is doing behind the scenes. It would be possible to throw an Autonomy Investor Day and to remain coy and secretive on the sort of technical questions listed above. Instead, I hope Tesla uses the event as an opportunity to explain to investors, in detail, what it's doing, and to argue why that is the right technical strategy. Launching a fully autonomous ride-hailing service could yield a roughly 8x to 14x increase in Tesla's stock price over the next 5 years, according to financial models published by ARK Invest. Different analyst firms have different models, but many agree that the potential long-term value of autonomy significantly exceeds Tesla's current market cap. If the technology can be deployed, the investment case is clear. The remaining question is whether the technology can be deployed, and if so, by whom. That's why it's important for investors to understand Tesla's technical strategy. The key question for investors - the thing that the five questions above are trying to get at - is whether Tesla can truly leverage its training fleet of approximately 450,000 cars to produce significantly better autonomous driving performance than other companies. The resource that differentiates Tesla is training data. But this resource only decides the competition if the winning technical approach turns out to require lots of training data without the bottleneck of human labelling, which is expensive and slow. Imitation learning and end-to-end learning are two such approaches. A contrasting approach is to use hand-coded rules that tell an autonomous car what to do. This approach doesn't make any use of training data. Another contrasting approach is pure reinforcement learning in simulation. This approach uses compute to generate training data in simulation, rather than using real world data. So, Tesla's competitiveness depends on whether its real world training data is a decisive resource. Whether Tesla's real world data is a decisive resource depends on whether the right approach is data-intensive, like imitation learning or end-to-end learning, or indifferent to data, like hand coding or pure reinforcement learning in simulation. Tesla's competitiveness depends, in other words, on 1) the technical approach Tesla is pursuing, and 2) whether that technical approach is the right one. What investors need from Tesla, then, is 1) an explanation of its approach, and 2) an argument for that approach. 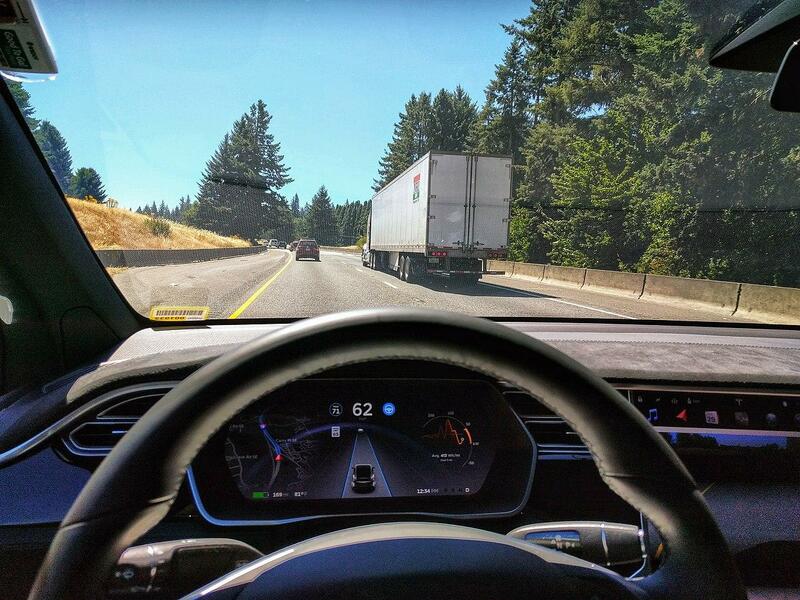 My current theory, based on investigative reporting, is that Tesla is using imitation learning for driving tasks. There are two main reasons I am optimistic this approach will work. First, DeepMind's AlphaStar is a compelling proof of concept both of pure imitation learning and using imitation learning to bootstrap reinforcement learning. Second, experts from Waymo and from Uber ATG (UBER) have highlighted imitation learning as a promising approach to autonomous driving tasks. I am skeptical of the hand-coding approach because it has had little success so far and because it is sometimes insurmountably difficult for humans to formalize complex tasks into a set of rules. I am more on the fence, but still skeptical about using pure reinforcement learning in simulation. It seems to me that the simulation requires a realistic model of human driving behaviour in order to learn how to interact with other road users in complex situations. Creating a realistic model of human driving behaviour is equivalent to creating an autonomous car. So, there is a chicken and egg problem. Autonomy Investor Day will be an important event if we get enough information to say whether this theory is true or false, and if we get an argument from Tesla on why it believes its approach will work and other approaches won't. Personally, I consider this more important than the latest quarter's earnings or vehicle deliveries. Tesla Model X on Autopilot. Thanks to Ian Maddox for the photo. Disclosure: I am/we are long TSLA. I wrote this article myself, and it expresses my own opinions. I am not receiving compensation for it (other than from Seeking Alpha). I have no business relationship with any company whose stock is mentioned in this article. Additional disclosure: Disclaimer: This article is not investment advice. Investing carries inherent risk, and investing in individual stocks is particularly risky. Please think about consulting a professional financial advisor before making any major investment decisions.